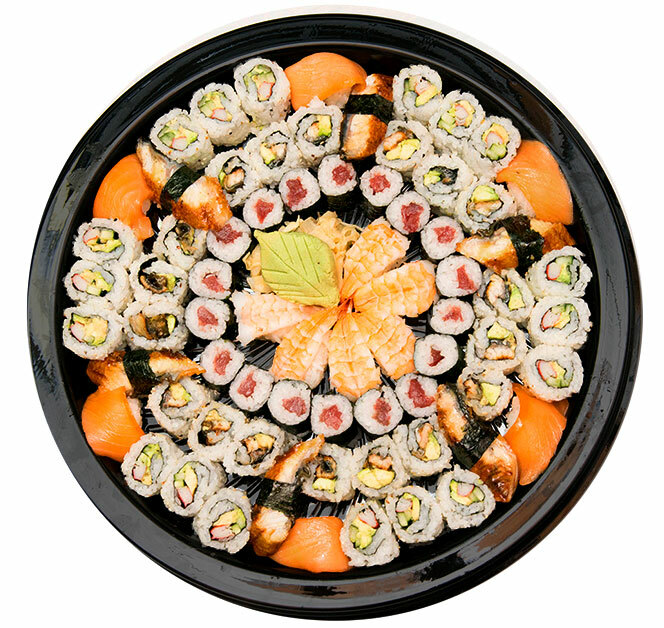 Spice up your Super Bowl Party with a party platter from Sushi Hana Downtown! 21 Fried Gyoza, 14 pieces of Sesame Chicken, and 2 pounds of Edamame. 18 pieces California roll, 18 pieces rock & roll, 18 pieces tekka roll, 6 pieces of smoked salmon, shrimp, unagi. Even more to-go platters are available! See our Menu page for a complete list.